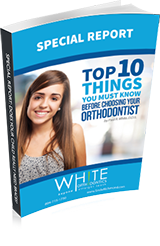 When it comes to orthodontics, one of the biggest concerns is how long a patient will have to wear braces. The good news is that it may be a lot faster than you think! The technology for orthodontics is constantly changing, so the options available today are vastly improved, allowing us to straighten your teeth faster than ever before! 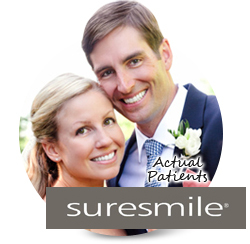 Dr. White is a certified provider of SureSmile®, AcceleDent®, Propel® and Invisalign® treatments in the Richmond area. He also offers innovative treatment solutions, such as highly flexible, heat activated archwires that provide the necessary pressure to straighten teeth, and self-litigating braces that are smaller and more comfortable than traditional brace wires. These braces can accelerate treatment by 50% or more! You can have a straighter, healthier smile in less time with fewer visits to our Glen Allen orthodontics office! 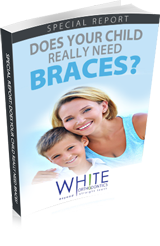 With over 20 years of experience in orthodontics, Dr. White and his team members are experts in helping you choose the best treatment option available for you or your loved one. At White Orthodontics, we use 3D digital modeling along with computerized robotics to produce customized archwires for your braces. This amazing technology is called SureSmile, and it can provide treatment that is 30-40% faster and more accurate than conventional orthodontics. With SureSmile, Dr. White virtually eliminates the need for much of the fine tuning involved with traditional orthodontics, so your treatment finishes on time. You can have a straighter, healthier smile in less time with fewer visits to our Glen Allen orthodontics office! Tooth movement occurs when pressure applied to your teeth by braces is transferred to the surrounding bone. Procedures that enhance this process can increase the speed of tooth movement during your orthodontic treatment. Wilckodontics was introduced in 1998, and was the first procedure developed to enhance bone response. 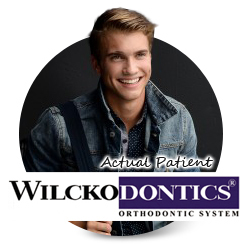 Wilckodontics is an advanced orthodontic procedure performed soon after the braces are placed on your teeth. With Wilckodontics, treatment is possible in as little as 3 to 8 months, giving you or your loved one a better smile in less time than traditional metal braces. 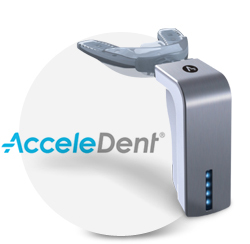 AcceleDent is a FDA approved treatment option designed to speed up orthodontic treatment to give you a straight healthy smile. It is a non-surgical orthodontic enhancement that delivers gentle vibrations or micro-pulses to the teeth. A mouthpiece is worn for 20 minutes each day to increase bone remodeling, and, thereby accelerates tooth movement. This helps speed up your time in braces by 50% or more, and can make your orthodontic treatment more comfortable as well. 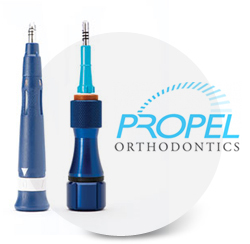 Propel is an innovative orthodontic solution that helps shift teeth into the proper position in half the time when compared to traditional metal braces. The Propel procedure helps make orthodontics such as Invisalign® and traditional metal braces more effective, by stimulating bone production. This enables the bone that holds the teeth in place to better adjust to braces. A 40% increase in tooth movement has been demonstrated in many cases. 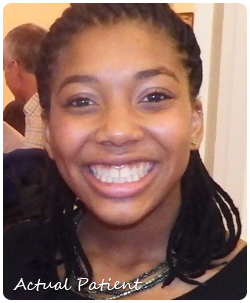 Dr. White is a certified Propel provider in Richmond and Glen Allen, Virginia, and can help you decide if this is the right orthodontic treatment for your dental concerns. Propel orthodontics speeds up the rate at which your teeth shift and tissues heal during treatment.